Social marketing is a process using commercial marketing techniques such as the marketing mix to change the behaviors of individuals for social benefits. 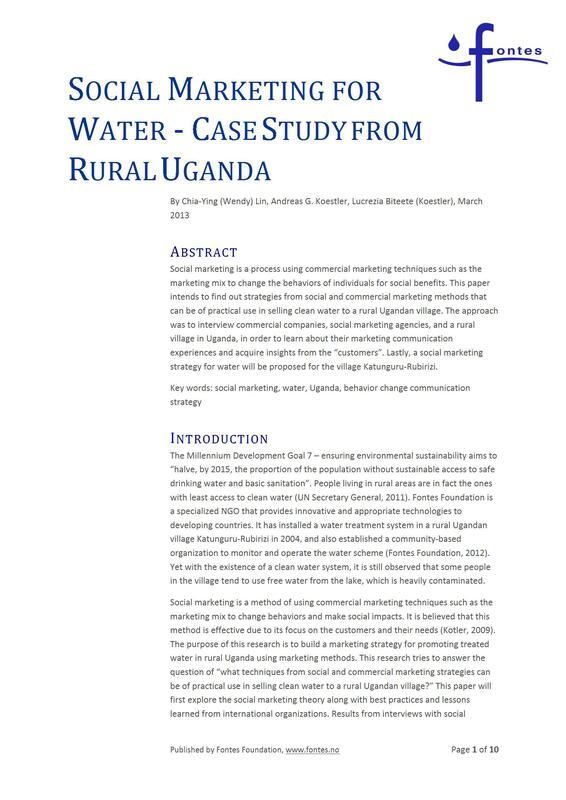 This paper intends to find out strategies from social and commercial marketing methods that can be of practical use in selling clean water to a rural Ugandan village. The approach was to interview commercial companies, social marketing agencies, and a rural village in Uganda, in order to learn about their marketing communication experiences and acquire insights from the “customers”. Lastly, a social marketing strategy for water will be proposed for the village Katunguru-Rubirizi.